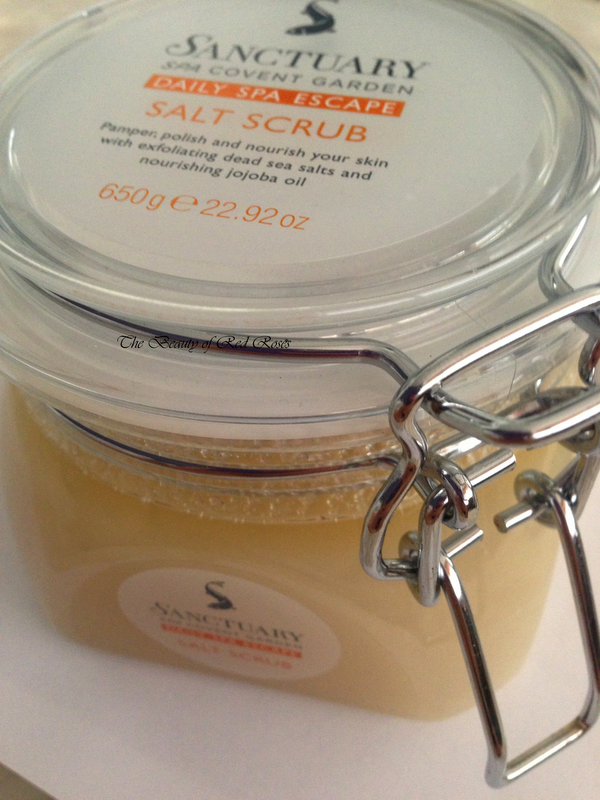 The Sanctuary Salt Scrub (A$20/650g) from The Sanctuary Spa Bathing (Exfoliate) range is made from a sumptuous concoction of sea salt drenched in Coconut, Jojoba and Sweet Almond Oils to polish and refine the skin while leaving it feeling super smooth and soft to touch! I was very surprised to see how large this cute durable plastic jar was as it contained a huge amount of sea salt to last a few good pampering sessions. As I open the jar lid a huge burst of aromatic scent of predominantly coconut just lifted my senses! The scent is absolutely divine and using this Salt Scrub makes a great pampering session to smooth away my skin! The Salt Scrub is comprised of very fine particles which gently buffs away flaky dry skin without any irritation at all. The feel of the Salt Scrub against my skin feels really luxurious and the scent is just so amazing! I love all products which contain coconut! The scent also lingers awhile after using the product, which is a great thing! I use this Salt Scrub once per week to ensure my skin is well exfoliated and stays smooth! The Sanctuary Salt Scrub is a lovely and delightfully scented 'at home' spa quality product which really does help to soothe and rejuvenate the body like you would at a luxury spa, but in the comfort of your own home! 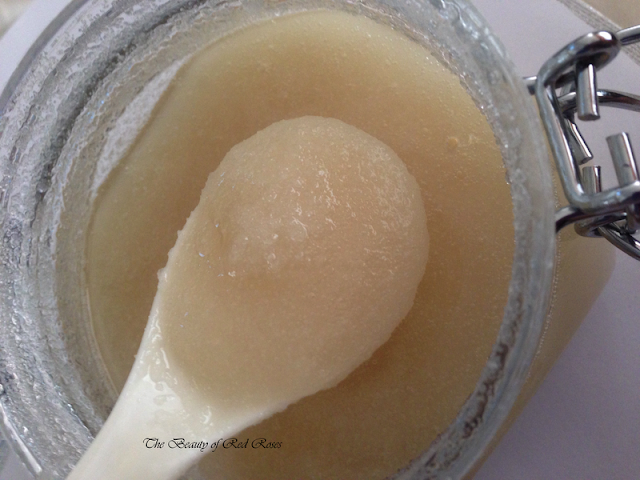 Do you use a salt scrub to exfoliate your skin?